Posted on August 1st, 2018. The Annual African Moons Golf Tournament is Monday, September 24, 2018 at Texas Star Golf Course, Euless, Texas. The tournament benefits Character 101, our educational 501(c)(3) non-profit. Character 101 teaches the Six Badges of Character: Trustworthiness, Respect, Responsibility, Fairness, Caring and Citizenship. These fundamentals are essential to develop integrity in citizens of the world. The golf tournament will benefit Character 101 for grade school children in Tanzania, East Africa. 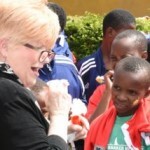 In addition, Character 101 is now partnering with the Shalom Center Orphanage in Arusha, Tanzania. 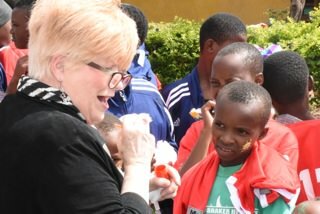 The Shalom Center provides care to over 100 children! These children are either abandoned for financial reasons, orphaned with no-living parents or street children – having no one to provide for them. The proceeds will help provide food, schooling, mentoring and a loving environment for the children of the Shalom Center. Register today by going to the Donate Page, select GOLF as the designation and together we will have the most successful tournament yet! Registration is just $400 for a team of four and just$125 for an individual. You can see that we want you to bring a foursome…. Bring a team or we’ll put you with a foursome. Expect some delicious food, great raffle prizes, maybe win a car at the Hole-in -One hole and have a wonderful day of golf with friends!